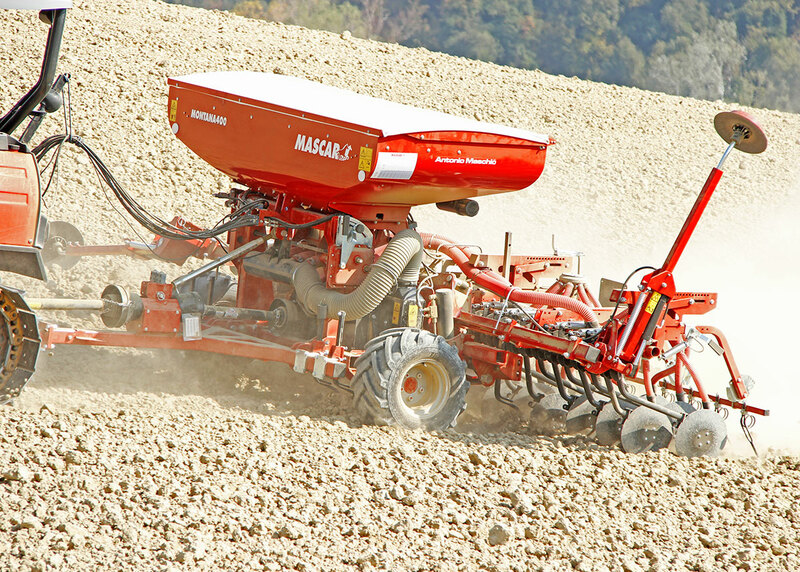 MONTANA is a pneumatic seed drill for cereals, rapeseeds, soybeans, herbs and small seeds. 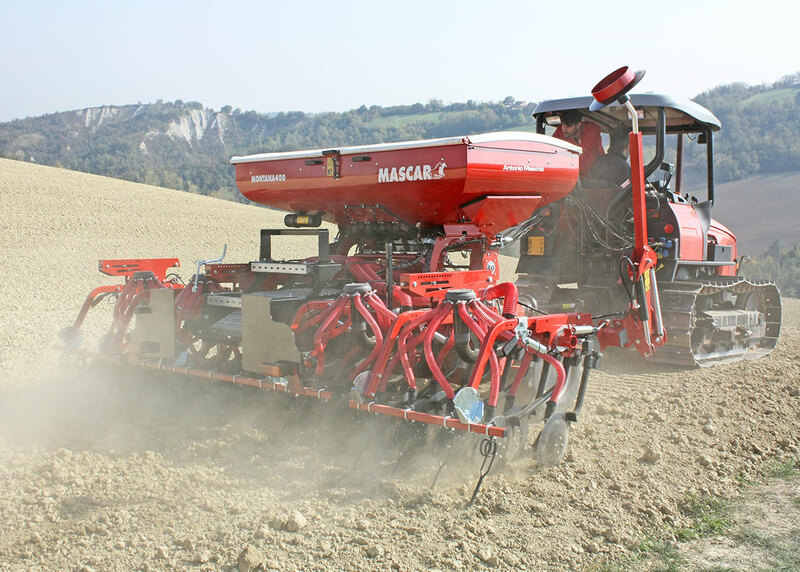 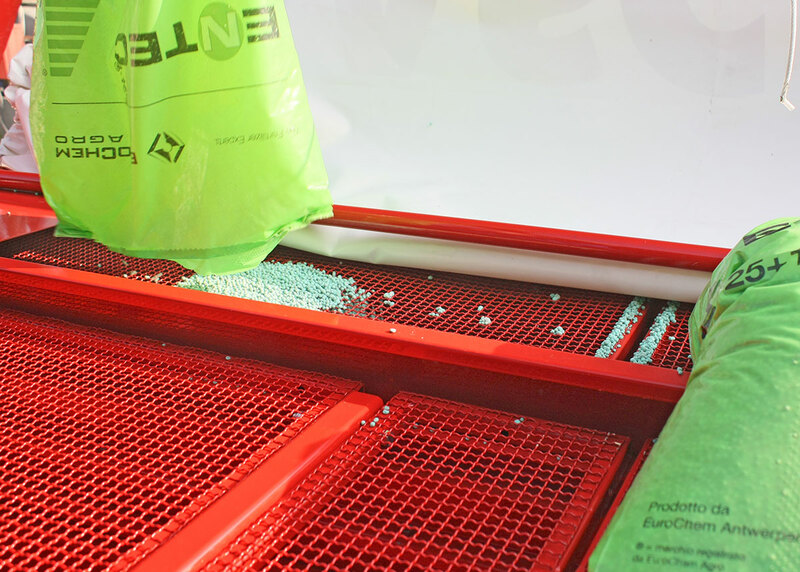 It is equipped with 4 dosing units for a perfect dosage of seeds quantities and with 4 diffuser for a uniform distribution of seeds on all rows. 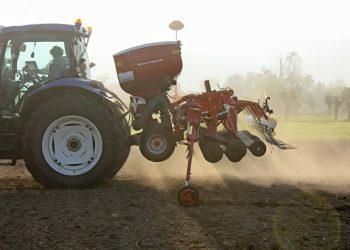 Thanks to the oil immersed gearbox with continuous transmission the adjusting the amount of seeds will be always accurate and fast. The large hopper, equipped with a strong platform of large dimensions, ensures high autonomy and exceptional accessibility. 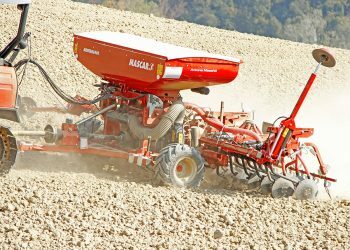 MONTANA is available three-point linkage or trailed, in the 400, 450, 500, 600 versions which correspond to sowing widths from 4 up to 6 mt. 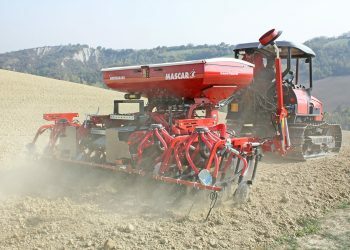 For all versions, the following configurations are available: only seed (MONTANA), seed/fertilizer and seed (MONTANA F).